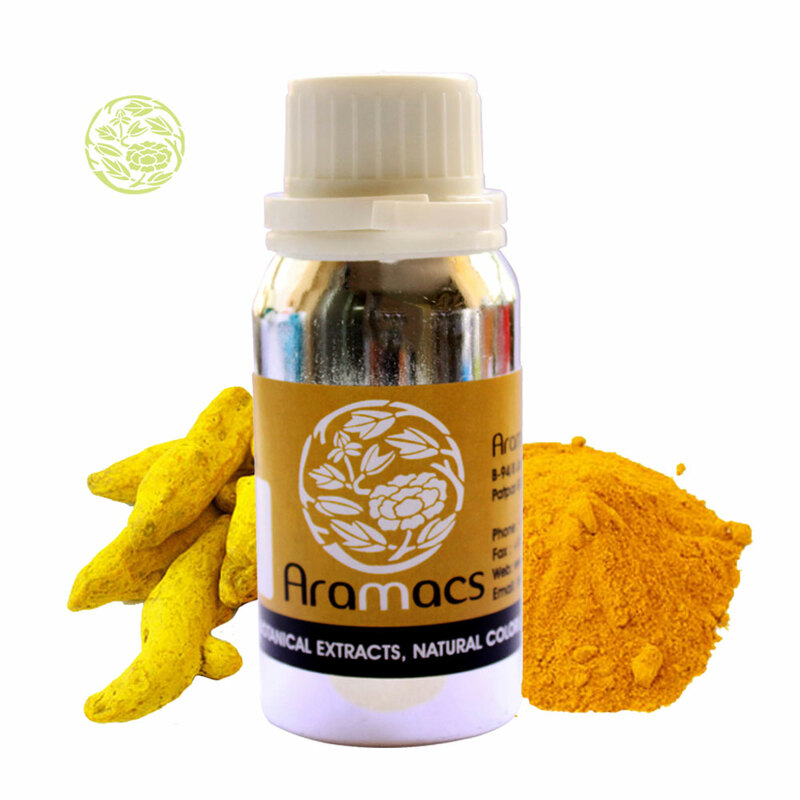 It is oleoresin obtained by extraction of roots of Curcuma longa Linn, with volatile solvents and concentration to remove the solvent. The oleoresin chiefly contains volatile oil, resin and yellow colouring matter known as curcuminoids. The chief component of curcuminoids is curcumin. Tumerone, zingiberene are the other constituents of volatile oil. It is reported to possess many pharmacological and anti inflammatory actions. Harvesting Season : December to March . Description : Extract of dried rhizomes of Curcuma longa L. (Family: Zingiberaceae). Storage : Store in full, tight containers in a cool dry place, protected from sun light. Use: Color used Pickles , Natural colorant for Food, Cosmetics etc. Odour : Characteristic mild flavour of turmeric. Dispersibility/solubility : Can be dispersed in dry carriers such as salt, dextrose, etc. Microbiology : Free from microbial contaminants. Shelf life : 24 months under the specified storage conditions. Handling : Avoid contact with skin and eyes.